I’m not an architect, and I don’t play one on TV, but I’m really into cool architecture. I’m always amazed when someone’s vision comes to life on such a grand scale. It doesn’t matter to me if it’s a minimalist, eco-friendly home someone built in the woods or the Sydney Opera House, I’m all over interesting architecture. So a big bonus of my recent trip to Japan was that my hotel in Kyoto was located in the Kyoto Station, a truly impressive if slightly overlooked example of modernistic architecture, and a place that I’ve long wanted to visit. A metal and glass facade that rises some 70 meters from floor to ceiling dwarfs this commuter in Kyoto Station. And it didn’t disappoint. Truly vast and towering in scope and size, at first sight the station is almost overwhelming. It exhibits many characteristics of futurism, with a slightly irregular cubic facade of plate glass over a steel frame. It’s clever use of light, space and reflections on glass make an already massive expanse seem even bigger. It’s bright and airy and it’s constantly on the move, no surprise since the station is the hub for all trains and buses coming in and out of Kyoto, including the Shinkansen bullet train. In fact, it is the second largest station in Japan, after Nagoya Station, and at 70 meters high, 470 meters from east to west and a total floor area of 238,000 square meters, it’s one of Japan’s largest buildings. It houses a shopping mall, hotel, movie theater, department store, many restaurants (including one that serves the best spicy ramen EVER) and several local government facilities under one 15-story roof. Its close proximity to the Kyoto Tower (it’s right across the street) ensures that that Kyoto icon constantly gets center stage. 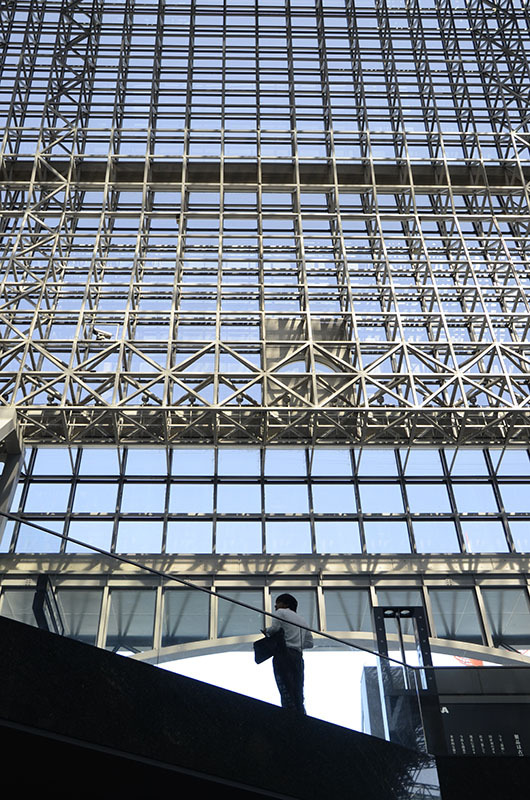 This sprawling, gleaming example of modern architecture is actually the fourth version of the Kyoto Station, and the station has gone through many transformations since it was first decreed opened for service by Emperor Meiji on February 5, 1877. 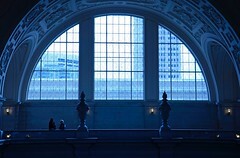 In 1914, the first station was replaced by a newer, Renaissance-inspired facility that burned to the ground in 1950 and was subsequently replaced by a more pragmatic concrete facility in 1952. This current version, designed by famed Japanese architect Hiroshi Hara, opened in 1997, commemorating the city’s 1,200th anniversary. As you can see, it’s truly impressive, and like most things Japanese, it runs like a well-oiled machine, even when a typhoon brought all rail and bus service to a halt on my third day in Kyoto. Ironically, Kyoto has a love-hate relationship with its station. Some say its modernist design conflicts squarely with this most traditional of Japanese cities. It’s completion in the mid-90’s gave rise to a wave of new high-rise developments, leading critics to accuse the station of helping to contribute to a greater departure from the tradition that is so important to Kyoto’s culture. I don’t think the people of Kyoto have much to worry about, though, because Kyoto is an intensely beautiful place that has done an excellent job of retaining all of the charm and beauty of tradition, and the station does nothing to take away from all of that. I, for one, appreciated seeing this ultra-modern design in the heart of an ancient city. It only added to the allure (and photography) of visiting Kyoto, and gave me another reason to go back. This entry was posted in Japan, Kyoto, Photography, Stephen Kelly Creative, Stephen Kelly Photography, Travel and tagged Architecture, Japan, Kyoto, Kyoto Station, Photography, Stephen Kelly Photography, Travel. Bookmark the permalink. Yea it’s a very cool station – you should check out kanazawa train station it is also very cool with a huge interpretation of a Torii gate. hey there … wow! i had to google the kanazawa station, and wow! very cool. now i need to see that one too! thanks for dropping by. your blog is excellent! Yes, Stephen, it’s been dreary without you! What a wonderful set of photos! Tell me, are you in Japan on professional trips when you go, or is it just a favorite personal destination? And, are you employed to take photos there for companies or individuals (I would expect that a lot of people find your work very worthwhile)? I at any rate didn’t realize just how much I was missing you! Hi Victoria … well, it sure is good to be back. I feel like my creative spirit has been rejuvenated! No, I am not employed by anyone to take my photos, although that is a goal. Right now, I take ’em because I absolutely love it. I can’t explain the sense of peace I get when I’m out shooting, especially in amazing places like Japan. It’s my main form of relaxation, although I would mind getting paid for it! Great capture of the station. I remember going there a few years back and feeling very small as I descended down on one of the escalators. What I can’t figure out is how it stays upright in an earthquake. hey chris … that’s exactly how i felt. 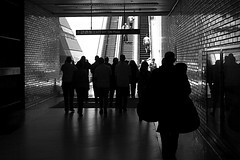 one day i caught a reflection of myself going down an escalator in the station, and i was amazed at how tiny i looked! Wow! Incredible station. You’ve captured the immensity and the wonderfulness of it all. I would love to see that! Hi Angeline … and thanks! It was really was an amazing place … so vast, it looked like you could play football is there! I did not take pictures as you done. hi summerfield! thanks for that. my trip to japan was really amazing! you live in a very cool place! Stephen, this post is amazing and your photos are incredible. I am impressed by the mastery of mathematics that it took to design and build this station. Well done, and welcome back. Hi Allan … and thanks for the kind words. haha … I was thinking that the station was probably an architect/engineer’s dream! I looooved Kyoto station it’s got everything you need: it’s beautiful to see, it’s practical since you can go there just for the toilets, a massage, some shopping or to try the restaurants under. It’s always amazing to see how the japanese turned their stations into place you actually want to go to even if you’re not taking the train! 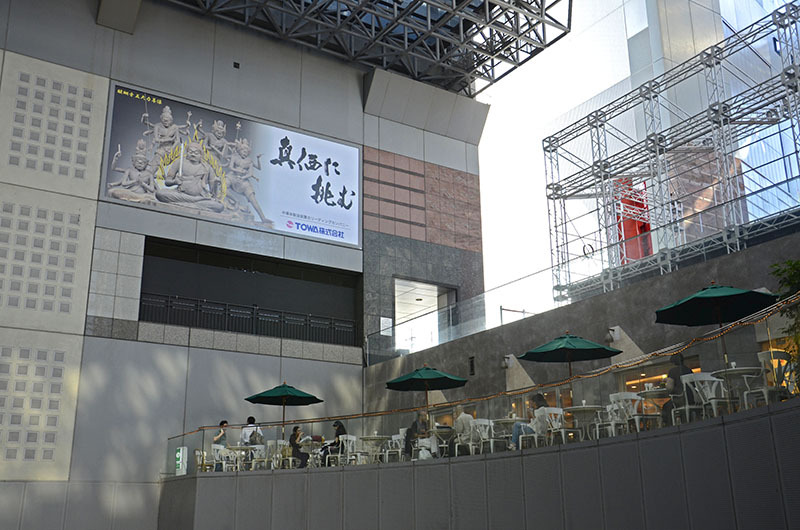 I also love Hakata station with the small shrine and mini train on the roof, you’d never guess it was there. I know!!! you could stay there all day, there was so much to do … and so many great restaurants in bot the station and the underground malls! Hi Paula … I really know how to make an entrance, don’t I? I know this station although I have never been to there. The photos are very cool. thanks, my friend. it’s an really amazing building in a very beautiful city! Wow, it’s big as an airport .. amazing and cool building – and your photos are just magical … all the different angles .. I love urban photos, because there is always so much unexpected details. Excellent job, and welcome back to us. thanks viveka. i’m glad i was able to make this very cool place come alive for people. 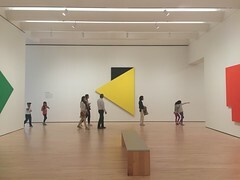 it’s a really amazing building!